Shirley’s Beauty Clinic marked 20 years in business this month. 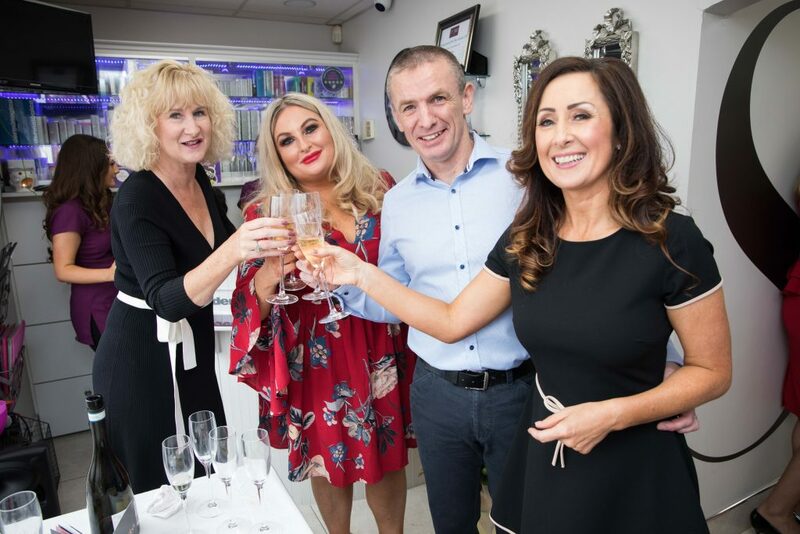 The salon celebrated its anniversary last weekend with a party for customers and friends in their salon in Glanmire. The event was hosted by Amanda Brunker and guests were treated to beauty demos, goodie bags, and prizes on the day. With over 3,000 clients, the salon started as a one-woman business, run by Shirley Feeney in 1998. The multi-award-winning salon now has a team of 14. The salon plans to hire a further two staff in the coming months to cope with client demands. 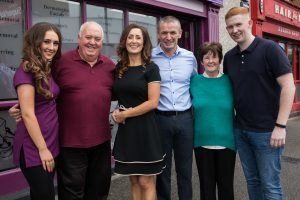 Shirley Feeney with her family, daughter Megan Feeney, father Billy O’Shea, husband Stephen Feeney, mother Christina O’Shea and son Stephen Feeney at Shirley’s Beauty Clinic 20 years in business celebrations at Glanmire Shopping Centre. Speaking at the celebrations, salon owner Shirley said: “I never could have imagined when I started out that we’d be celebrating 20 years this year with my team. My business is as exciting to me as the day I started. I have highly a qualified team that deliver pioneering treatments to our clients. Lorraine O’Neill, Glanmire, Mary Jane O’Regan, Stephen and Shirley Feeney at Shirley’s Beauty Clinic 20 years in business celebrations at Glanmire Shopping Centre. Special promotions and giveaways will take place for the month of October to mark the salon’s anniversary. More details will be shared across the salon’s social media channels. Located in the Glanmire Shopping centre, the salon offers a wide range of the most up-to-date treatments, as well as specialised skincare treatments, such as the Nordly’s Laser System, used to treat a wide range of skin conditions.